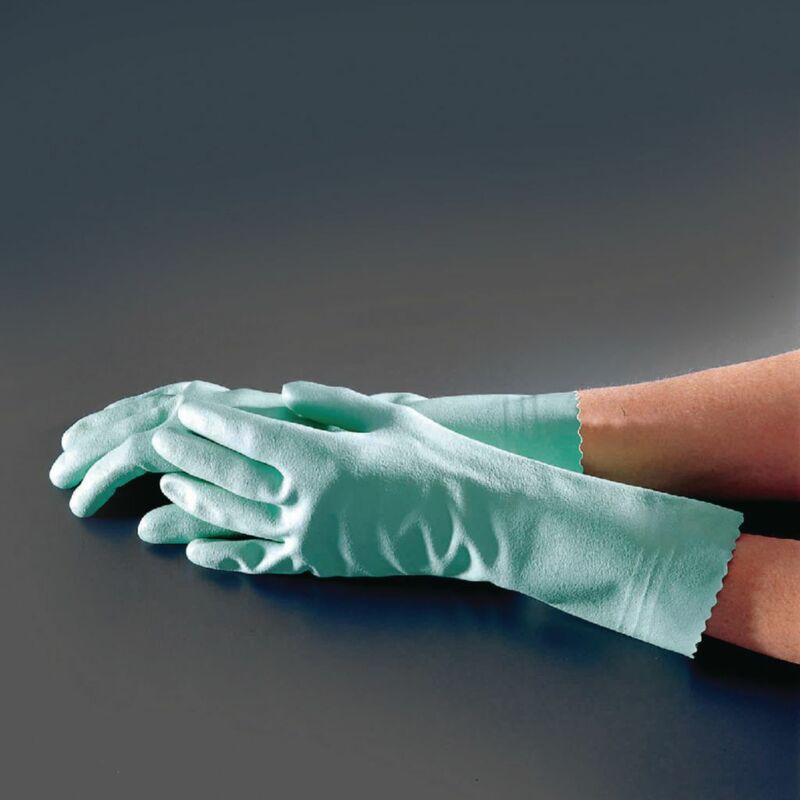 These nitrile gloves have a curved finger design and contoured palm to help resist fatigue, while their material is less irritating to skin. The tough fifteen mil nitrile is resistant to punctures and abrasions and will not weaken or swell like other materials in harsh solvents, petroleums, acids, or animal fats. These gloves are flock lined and pebble embossed for optimum use.